Fitted-up toilets on first floor. Small lift (56 x 100 cm) at the street number 1221B, by the main entrance of the Museum. Tour for the visually impaired on the first floor, in a limited area. 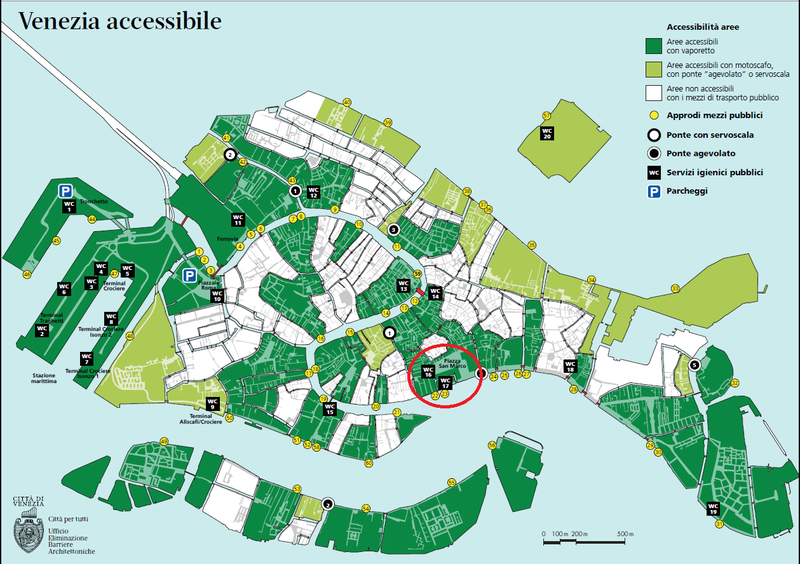 Correr Museum and the St. Mark’s area are inclused in the accessible routes reported by the City of Venice.